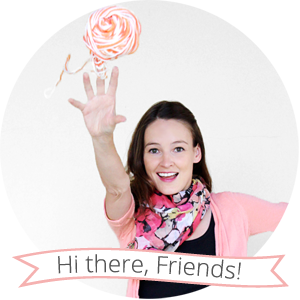 Welcome to the 3rd installment in the One T-Shirt, Three DIYs miniseries! 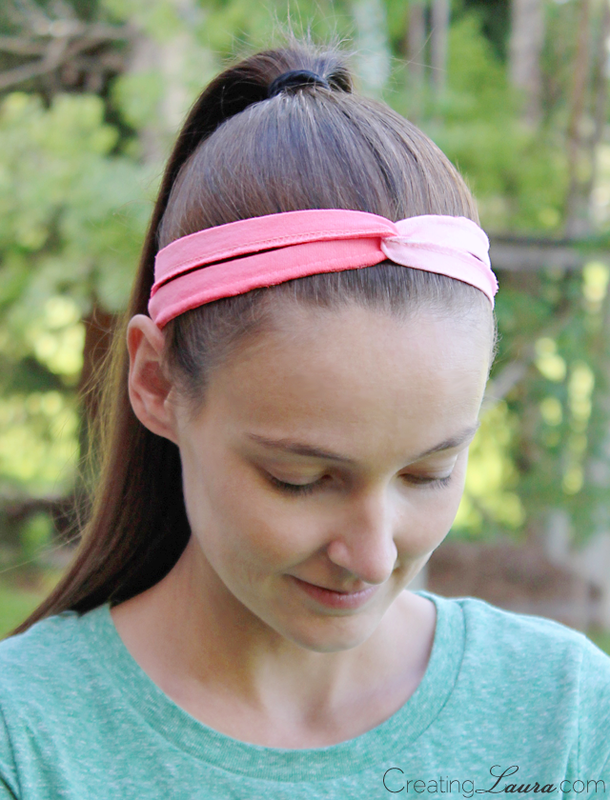 The first two projects in the miniseries were a hand-stamped headband and a beach-ready crop top, and all three of these projects can be made using a single old t-shirt. 1. The same old t-shirt we used for parts one and two in the series. 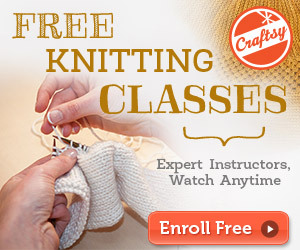 **Note: If you participated in part 1 of the miniseries, skip steps 1 and 2 and jump in at step 3. 2. 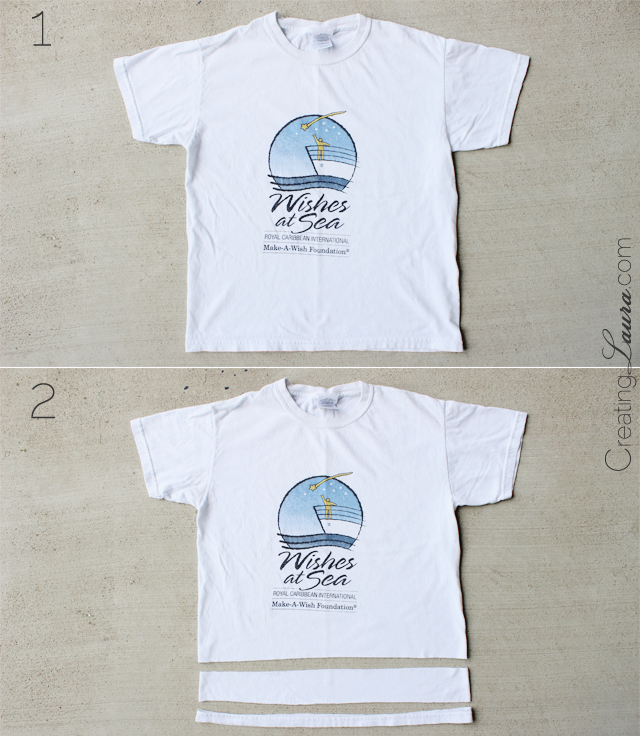 Cut the bottom hem off of the t-shirt, then cut off another 2 or 3 inches from the bottom of the shirt. The 2 or 3-inch-wide strip is for the first project, the top part of the shirt is for the second project, and the bottom hem is for today's project. 3. Take the bottom hem of the t-shirt outside, lay it on some cardboard or newspapers so you don't make a mess, and make sure that it's spread out nicely with no twists or bunches. 4. Hold the fabric spray paint 6-8 inches away from your work and spray one thin layer all the way around it. Then spray a second layer along 2/3 of it, then a third layer over 1/3 of it. 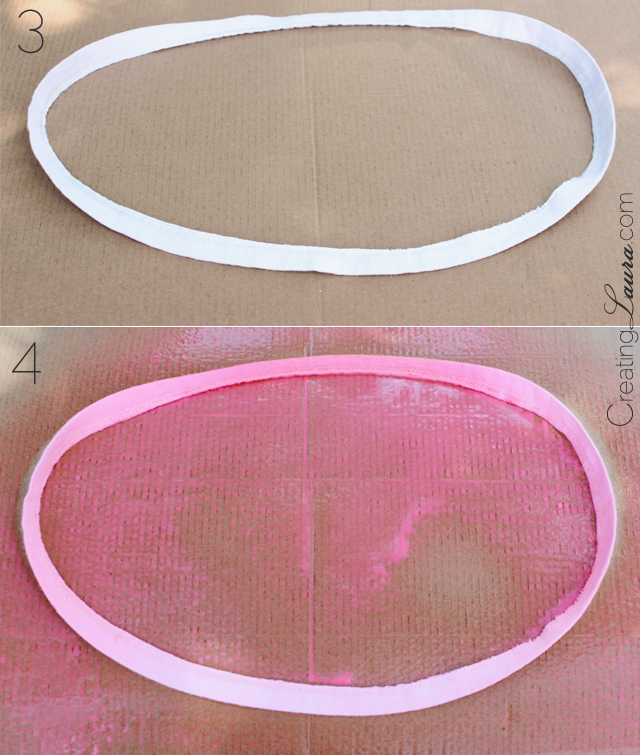 Your fabric should now look ombre! Let it dry for an hour or two, then flip it over and paint the other side the exact same way. Let that dry for another hour or two and you're all finished. 1. Start with the loop stretched out. 2. Twist the loop one time. 3. Twist the loop a second time. 4. 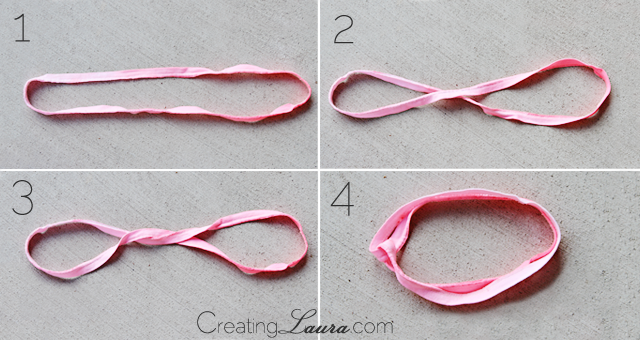 Fold the headband in half. Now it's the proper shape to pop it on your head and go to yoga, skating, dance class, or anywhere else! I particularly like wearing mine for yoga class because I have a million little whispy hairs that I like to keep out of my face when I'm in forward fold. 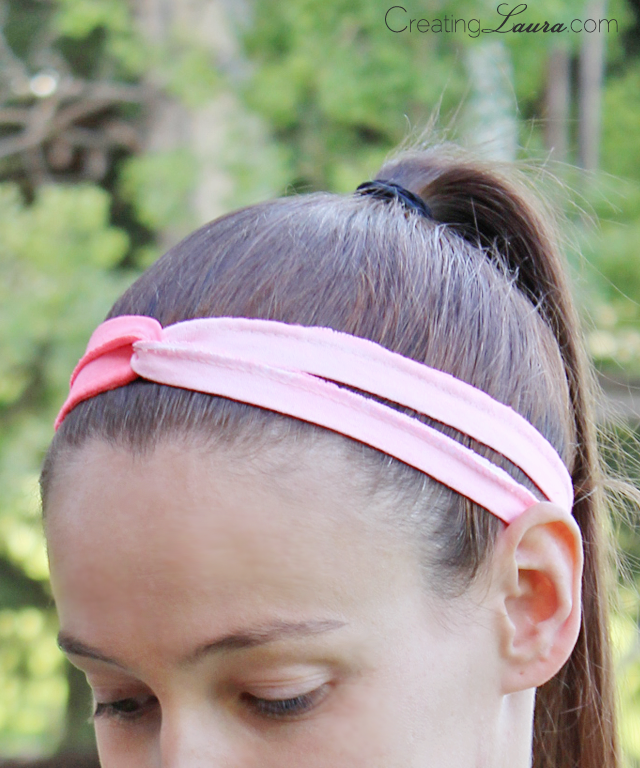 When's your favorite time to wear headbands like this?